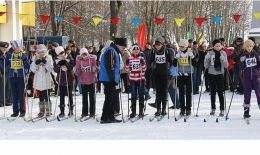 Sports and physical culture department of Grodno administration supported the FIS and Belarus Ski Union initiative of having local and regional sports events on World Snow Day 2013. So an Organizing committee of World Snow Day, Grodno was created. On 19-20 there were sports events for kids, youth and grow ups held in all of the districts of Grodno region. Regional winter sports fests are incredibly popular with local population especially with kids. 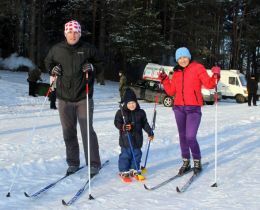 Main goal of such events is to increase interest in winter sports and advertize healthy lifestyle among citizens. 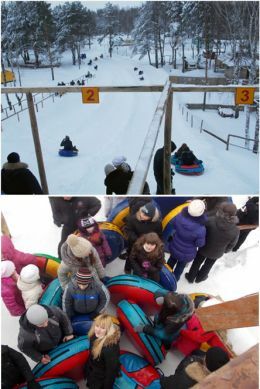 In the framework of World Snow Day, Grodno there were a lot of competitions held such as ‘Lida Ski Race’, Family pursuit, Sled rides, Tug-of-war, on-snow weight throwing and many others. Participants also enjoyed folk-ensembles performances. Apart from that organizers provided an opportunity to skate and use tubing course for everybody. And at the lake there was traditional swimming in an icy glade. This tradition has deep Slavic roots. Apart from that there were 18 more local events in Grodno region, gathering 7 000 overall participants.